The ISE (Ion Specific Electrode) Probe Interface can be used to read any probe that outputs a voltage in the range of -1024 mV to 1024 mV. pH and ORP are supported with specific libraries, but it is very easy to use another mV based probe by extending the library. A standalone DS18B20 can be directly connected to the board, no resistor is required. Arduino IDE: go to the library manager (Sketch / Include Library / Manage Libraries...) and search for ISE Probe. PlatformIO: install the library using the library manager (PlatformIO / PlatformIO Home / Libraries), search for ISE Probe. Particle.io: search for ISE_Probe_Interface in the Libraries section of the IDE. If needed, the I2C address can be changed by calling setI2CAddress. The device will permanently change it's address and continue to use it after a power reset. If you forget the new address, you will need to use an I2C bus scanner to recover it. 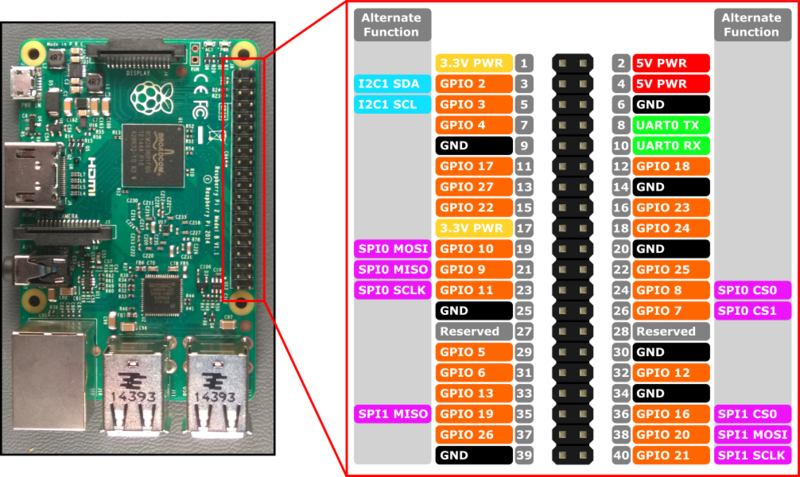 Raspberry Pi Python: Always pass the I2C address in the constructor, 0x3f by default. 3 indicates the third I2C device (/dev/i2c-3). MicroPython: Always pass the I2C address in the constructor, 0x3f by default. -1 indicates to use software I2C, and then specify the SCL and SDA pins. This method isn't appropriate for pH calibration near the zero-point of the probe. (ISE_pH::calibrateSingle(7.0); will not work). Put the probe in a calibration solution at referenceLow and wait for readings to stabilize, call calibrateProbeLow(0). Do the same for referenceHigh by calling calibrateProbeHigh(140). By default, the device does not use dual points. A call to useDualPoint() must be made to enable it. Once set, it will continue to use it automatically. Temperature compensation can be used to adjust for the temperature effect on the probe. The device itself doesn't contain any firmware that adjusts the readings, that is left to be implemented by the probe-specific libraries. However, this is a saved setting on the device. The pH library checks this value and if true, will take a temperature reading and adjust the measured pH accordingly. If there is an alternate source of temperature information, it can be provided to the device by calling setTemp. A mV measurement takes 1750 ms. A temperature measurement takes 750ms. Using any water quality measuring probe with another probe will likely cause interference. There are many factors that determine the amount to include the grounding of the solution, the type of probes, the solution itself, chemical reactions that may take place, etc. The only way to ensure interference doesn't cause faulty measurements is to isolate the circuit. Each probe would need to be isolated from each other using either a galvanic isolation circuit, or connected to separated battery powered devices, transmitting information via bluetooth or WiFi , for example.